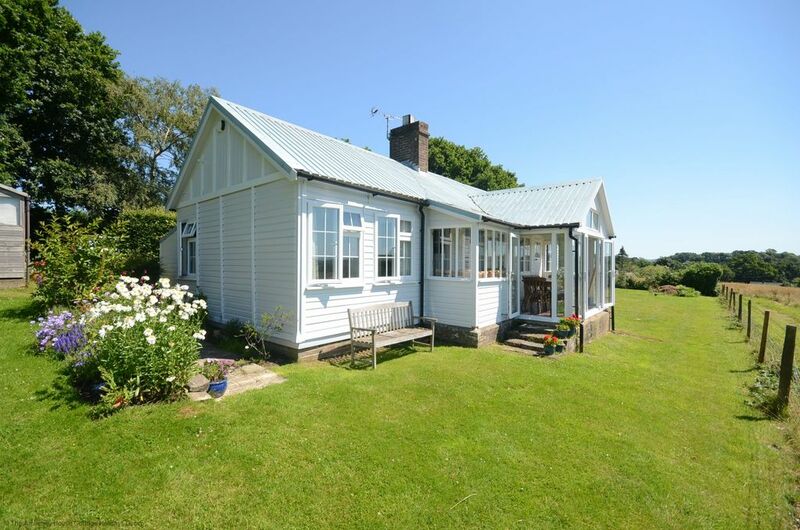 A wonderfully rural location, five miles from Uckfield, Spring Harbour is a fantastic holiday home for six. Refurbished in 2012, this relaxing cottage has the most amazing views towards Firle Beacon on the South Downs. All on one level, the living room has a wonderful open fireplace, and there is a separate garden room set up as a dining area. There are three double bedrooms, and a fourth single bedroom which can be used on request, although please note that a maximum of six guests can be accommodated due to the overall size of the cottage. The family bathroom has a bath with overhead shower. Outside there is a private garden, and of course the wonderful views to savour. In a remote location, Spring Harbour is on the edge of High Hurstwood and around five miles from Uckfield. Nearby is the Ashdown Forest - famous for being the home of Winnie the Pooh and a great place to explore. Also within easy reach is the Bluebell Railway and the attractive Sheffield Park Gardens - both well worth a visit. If a single bed is required as well as all three doubles please select the additional linen option, otherwise the single bed will not be made up.